outh mini goals go on/off with ease. Just flip a level to lock entire backboard and rim to any make or model of existing rims. Lightweight, 40 total weight. One person installation with no tools. 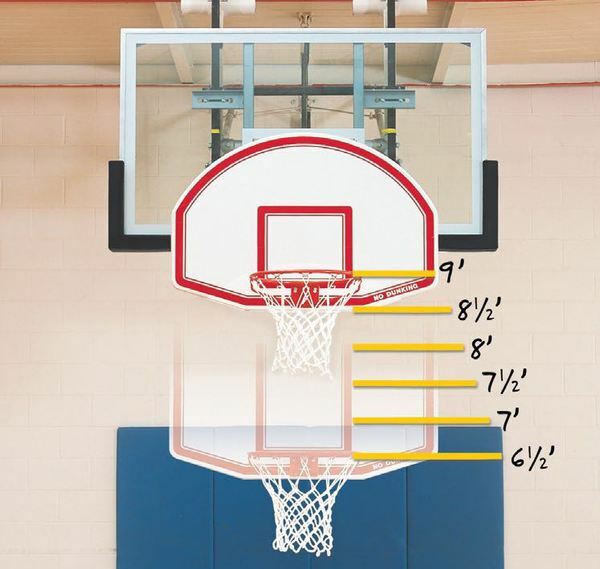 Durable 48 x 32 ABS molded backboard with official sized goal and shooters square. Fold for easy carrying and storage. Not suitable for hanging from rim.